The research described in this paper aims at specifying and developing an open model-based infrastructure and a set of tools that promote consistent knowledge management within collaborative environments in the construction sector. 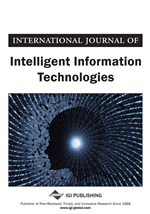 The specified solution emerged from a comprehensive analysis of the business and information/knowledge management practices of four construction organizations and makes use of a construction-specific ontology for specifying adaptive mechanisms that can organize documents according to their content and interdependencies while maintaining their overall consistency. The proposed Web-based infrastructure includes services allowing the creation, capture, indexing, retrieval, and dissemination of knowledge. It also promotes the integration of third-party services, including proprietary and legacy tools. The Web-services model is used as the underlying middleware technology that supports the solution. The research is sponsored by the European Commission under the Framework V Programme (Information Society and Technology).